Visitors will enjoy an array of fun and educational expert talks and demonstrations, covering everything from beekeeping, home brewing, hydroponics, vermicomposting, blacksmithing and harnessing, vertical gardening, and pickling and fermentation techniques. 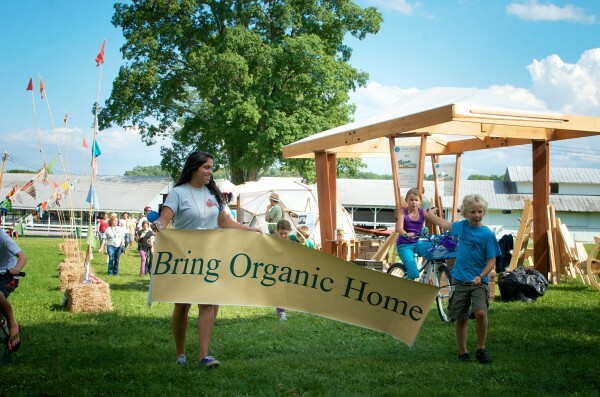 To celebrate Pennsylvania Certified Organic’s 20th anniversary, the organization will be recognizing all of the farmers it certified in its inaugural year. Pennsylvania Secretary of Agriculture Russell Redding ​will present the awards, followed by a free Ice Cream Social. Maple products, organic produce, hand-crafted jewelry, organic cosmetics and personal care products are among the locally grown, prepared or produced items by a variety of specialty vendors. Handcrafted, local and organic foods make up the Food Court, unique to FarmFest and a highlight for hungry visitors. Fiber enthusiasts can enjoy a variety of items for sale and demonstrations each day, including knitting, needle felting, and more. Join local knitters and crocheters in the Knitting Circle, under the shade tree just outside the Wool Village entrance. Face-painting, farm animals, reptiles and birds, hayrides, games, magic and superheroes will all be part of the Family Arena experience for our youngest guests. More than 20 performing and musical acts will entertain FarmFest visitors. Everything from Country and Doo-Wop bands to strolling musicians to the best of the region’s singer-songwriters. And the belly dancers are back! Enjoy locally sourced homemade BBQ and then head to our popular dance event. The Browsing Barn provides a relaxing space where visitors can meet an author or read on the couch in the ever-popular Book Nook, taste samples of handmade food products, and peruse the offerings of the Benefit Auction and local artisans. FarmFest 2017’s lead sponsors are The Barn at Lemont, EcoVents, Lady Moon Farms, Organic Valley, Pennsylvania Association for Sustainable Agriculture, Pennsylvania Women’s Agricultural Network, Perdue, Rodale Institute, and Trickling Springs Creamery.